How to Clean Santa Barbara County Smoke Residue Off Wood | Tri Span Inc. Smoke can continue causing damage to your home long after a fire is put out by the fire department. The soot residue can move throughout the house and cling to any surface available. Removing this from the surface of wood floors, furniture, and door frames is a chore many residents are unprepared to undertake. Wood door frames, furniture, and flooring can look as if it has burnt, but it is merely a coating of soot covering the surface. Running a fingertip over the surface will result in your finger pulling away with a covering of oily residue. The soot can coat wood surfaces throughout your Santa Barbara County home. Cleaning the wood is a complicated process and has to happen quickly to avoid the particles getting embedded deep in the surface. Running a dry sponge over the soot-coated wood will help remove a significant portion of the problem, but the surface will still retain residue. Experienced Santa Barbara County smoke damage experts Tri Span Inc. can handle even the most extensive soot-covered wood floors, trims, and furnishings. Getting professional help will offer a better chance of preserving your personal belongings and home interior. Degreaser products safe for wood will help penetrate through the oily particles and make it easier to remove. You will have to follow this up using a small amount of mild detergent and water. If this sounds like an overwhelming job when it involves an entire home full of wood surfaces and furnishings, it is. Experienced technicians with Tri Span Inc. in Santa Barbara County will bring a team to your home and get to work immediately to remediate the damage. When the smoke penetration and damage is severe, lightly sand the wood and refinish to bring it back to life. 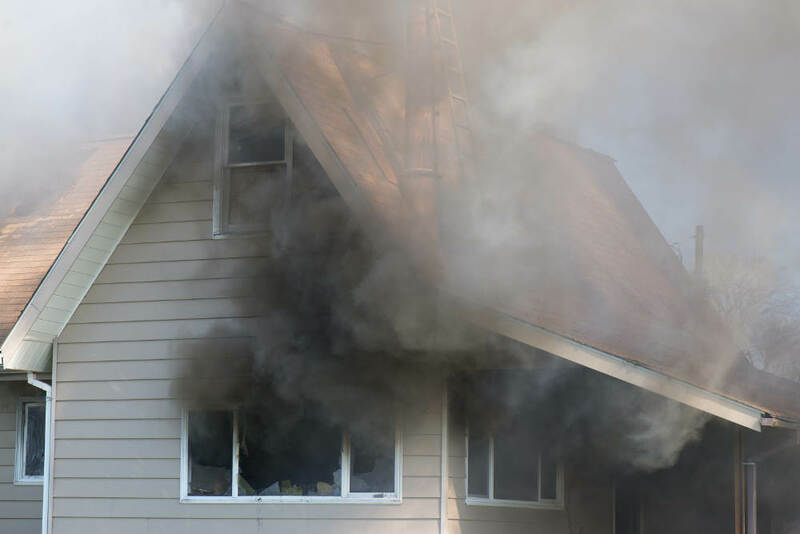 Recovery from a small house fire can take more time than expected, which is what brings real value to fire damage remediation services like Tri Span Inc. Begin the process of rebuilding your life with the assistance of remediation experts at Tri Span Inc. Give us a call today and schedule an appointment anywhere in the Santa Barbara County and surrounding areas.